Aardman Animations’ Wallace & Gromit stop-motion clay (or plasticine) films should need no introduction to Flayrah’s readers. The first, A Grand Day Out, released in Great Britain for Christmas 1989, almost immediately became a sensation in both Britain and America. New short films, the Curse of the Were-Rabbit feature, the Shaun the Sheep TV series, and a steady stream of merchandising have kept the pair (for Flayrah, especially Gromit) alive for almost twenty-five years. 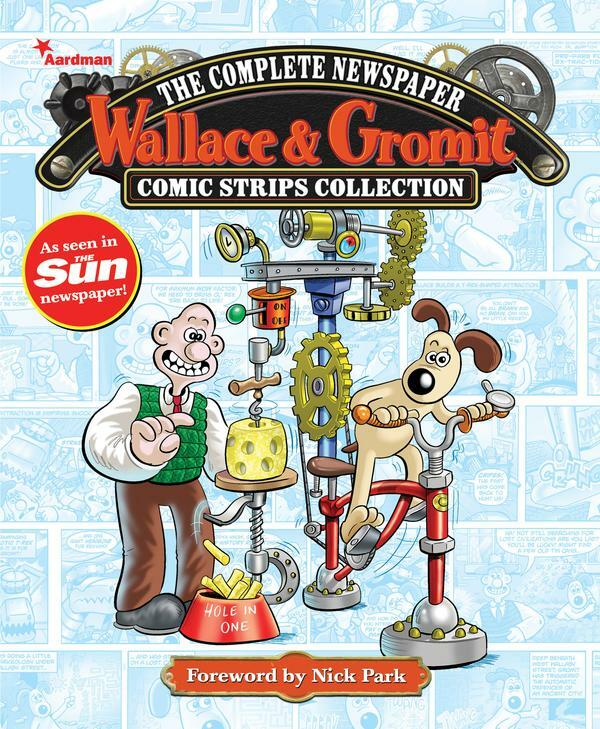 Titan Comics and Aardman Animations have teamed up with The Sun newspaper to produce a daily Wallace & Gromit comic strip! 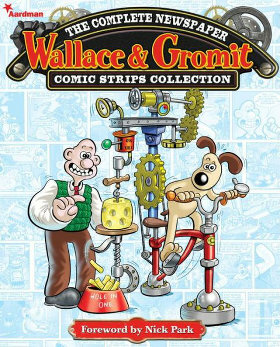 From May 17th, the inventive duo will feature in their very own daily comic strip in the newspaper, with each adventure running for 6 days, from Monday – Saturday. The comic strip comes after the success of Titan and Aardman’s Wallace & Gromit iphone comic, which was brought out to celebrate 20 years of the famous pair. Don't miss the start of the first adventure, out on May 17th and let us know what you think! Titan Comics, October 2013, hardcover $14.99 (unpaged [136 pages]). Foreword by Nick Park. 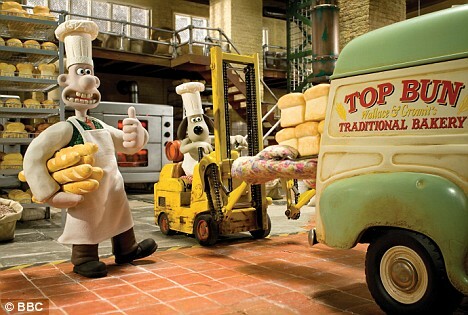 The latest Wallace and Gromit film, A Matter of Loaf and Death, has won the BAFTA for "Best Short Animation". The film, which premiered to British audiences on Christmas Day last year and was watched more than any programme in 2008, saw it defeat rival shorts Varmints and Codswallop to win the honour.